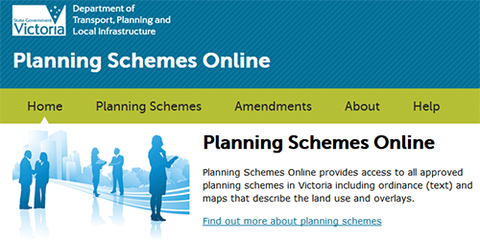 Do planning schemes apply to me? requirements etc. before you begin project planning. This site helps you work out what planning schemes and requirements may apply to your development. Click the interactive map or look up your shire, then find your location in the grid. If you go ahead with a infrastructure project, you might need to prepare a number of plans to submit with planning applications. The plans you will need to submit will depend on the type of feed pad you are proposing to build. Plans must be tailored to the unique characteristics of the farm and should allow for future expansion. Plans must be reviewed regularly and updated when key changes are made – if stock numbers grow, if feeding strategies change and stock will spend more time on feed pads etc. Develop plans in collaboration with experienced, trained service providers. The plans you need will depend on the type of development you are proposing to build. Wondering what a complete application looks like? See here for a real example – note all personal details have been removed. Most feed pad infrastructure projects require an effluent management plan. This plan provides details about how effluent is managed. If your infrastructure project is large, then it is likely you will require a nutrient management plan. You may wish to complete one anyway as they help maximise return for your on and off-farm fertiliser resources. A nutrient management plan spells out how the nutrients in effluent or fertiliser will be managed to supply plants (pasture, forage and crops) to ensure optimum growth and yield. The plan documents the amount, form, placement, and timing of the application of nutrients and the measures taken to control runoff, avoid contaminating groundwater and maintain or improve soil condition.